Solarstone’s Pure Trance movement had its inception in 2012 and now its Pure Trance Progressive label is its newest extension – focusing on promoting the resurgent deeper, slower side of the Pure Trance sound, such as these 125bpm tracks that make up PTP002. Brenden LaBonte (aka Forerunners) is a guy who produces addictive progressive trance music and his back catalogue consists of many tracks as gets the concept of the ‘slow build’ and how to take the listener on a journey. Brenden has released a steady stream of immersive tracks over the past eight years, with remixes on various Solarstone labels. This Arizona based producer is likely in the ‘quality over quantity’ camp. 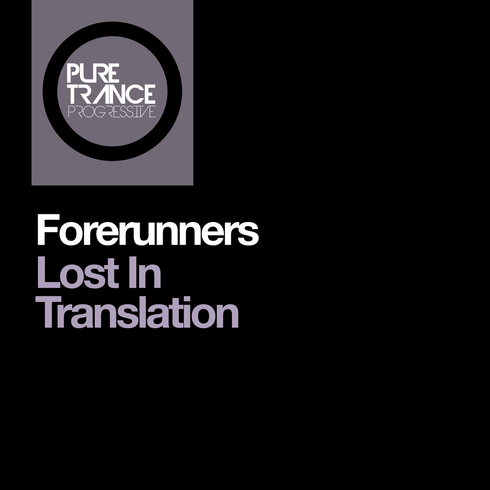 This new single consists of ‘Lost In Translation’ (Extended Mix), which is the full-length version of his track that featured on the recent Solarstone ‘Pure Trance Vol. 4’ album, along with ‘Strange Days’. Brenden’s production style hinges on hypnotising rhythms and precisely modulated synth patterns, which he’s become known for.